The future of Samsung’s mobile display tech is nothing short of exhilarating at the moment, but also equal parts confusing. After the official announcement of the eagerly-anticipated Infinity Flex Display, along with a roadmap for at least four other display designs (Infinity-U, Infinity-V, Infinity-O and New Infinity) the industry and especially the rumor vines permeating it are struggling to put their finger on the exact look of future models. Samsung’s constant patent filing for even more solutions for the notch dilemma and slight design variations are only making things worse. The latest leak in this regard thankfully comes from a reputable source, who claims that the Galaxy A8s will have an Infinity-O design panel with the camera and sensor hole in the top left corner. 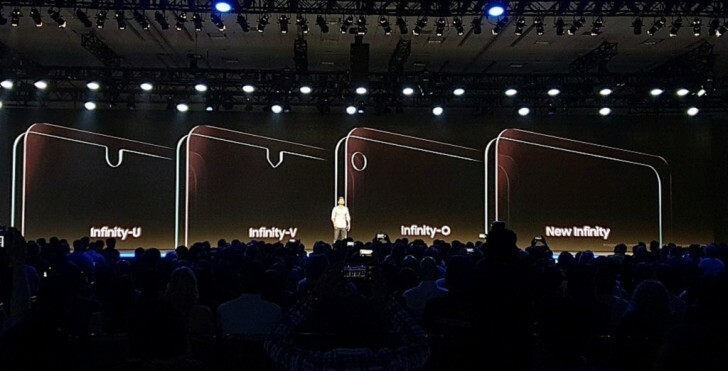 A la original Samsung design, showcased on stage and unlike another recent leak, picturing an Infinity-U notch for the same upcoming device. Of course, somebody in the information chain may have easily mislabeled the part, pictured in the photo. 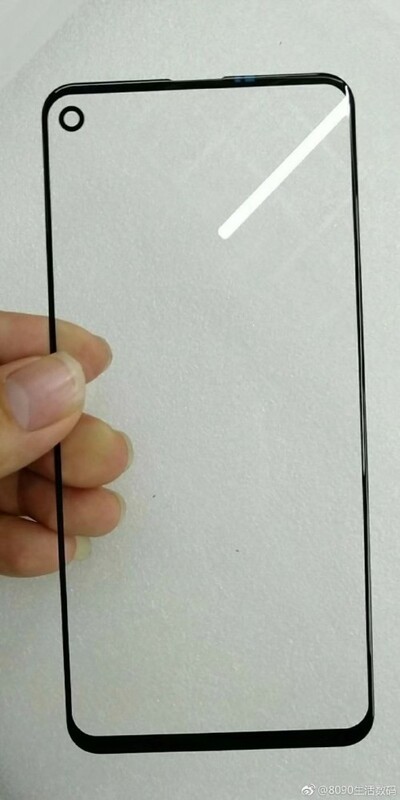 Given its curvature, it could easily belong to one of what will likely be three upcoming Galaxy S10 flagships. Obviously not the alleged flat-screen one. Although, looking at the shot once again, we have to wonder how that display curvature would relate to corner curvature, as described in this paten filing and its “Model A”, “Model B” and so forth designations. You see what we mean? Total chaos! Anyway, looking past the inner-working of Samsung, which are clearly not out on display in any coherent way, this photo does serve a great overall purpose, since unlike previous leaks, it only shows the glass panel, or perhaps a screen protector, without the rest of the display assembly. This makes it a lot easier to actually get a feel for the new “hole in the display” design that is coming to Samsung devices in the near future, one way or another. Speaking of which, the source also throws a February 2019 date out there – a typical time frame for a Galaxy S flagship announcement. This could rule out the A8s bit of the leak. Then again, it might not, since the S10 has been rumored to come tardy on several occasions. Bottom line here – this is what Infinity-O will probably look like when and where it first pops up. As for other news on the Galaxy A8s, for now, the rumors suggest the phone will be powered by a Snapdragon 660 chipset although, there’s a possibility that we see a more powerful SD670 or even SD675 paired with 6GB of RAM and up to 128GB of internal storage. The back panel will boast a triple-camera setup – perhaps something similar to the Galaxy A7 (2018).